We got up at 6:15. We got off the cruise, had a "show the place." tour and went to our Hotel, the Gold belt. We went on a tour to a hatchery. The salmon were jumping the stair way up stream. Next we, the tour, went to a Glaier. I walked on a beach, dipping my feet in 34-degree water. The Glaicier was awesome. Then we went back to the Hotel, had dinner, and went to bed. Sone of our fellow passengers went on a dogsled run in the mountains near Juneau. We arrived in Juneau this morning! We were driven in a short tour through Juneau, and then left at our hotel, the Gold Belt. We can't check in until after 2:30pm and it is just 9am. I was exhausted, and just laid down on the floor of the hospitality room and fell asleep. Arthur let me sleep for an hour. Then we went off to ride the funicular up to the top of the mountain to the Tlingit Visitors' Center. We had great views up and down the fjord, but I must say, the biting flies were incredibly brazen and numerous, and desperately hungry for a blood meal. Ouch. I ended up slapping by back with a bag from side to side like a religious flagellant, so, instead of walking down as we had planned, we rode the funicular back down. We had lunch at a fish and burger place at the base of the funicular. We then took a tour of the Juneau fish hatchery and a trip to the nearby Mendenhall Glacier. The fish hatchery was interesting in its fish ladders funneling the salmon to the hatchery, and in its holding tanks that were chock full. It also had a few fish tanks with fascinating sea-life. One half of Juneau's 32,000 residents live in the Mendenhall Glacier valley, which has lots of flatish land and better weather than other areas. 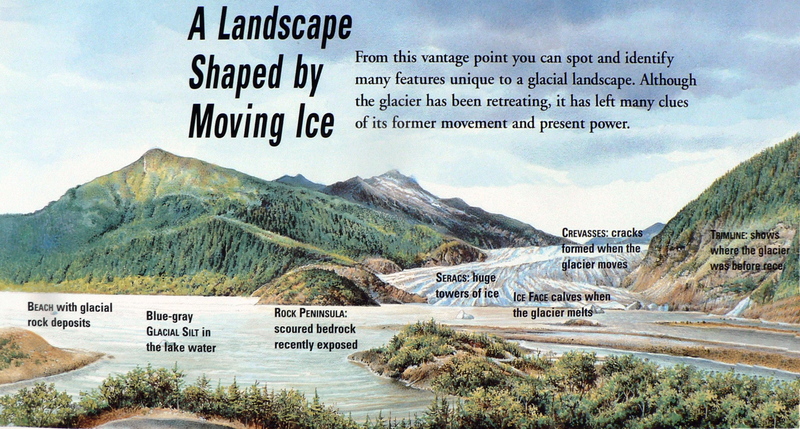 The ice in the Mendenhall Glacier is receding at about 152 feet per year, even though the glacier is advancing at the rate of _. Until 2 years ago, it had been receding at only 60 feet per year. 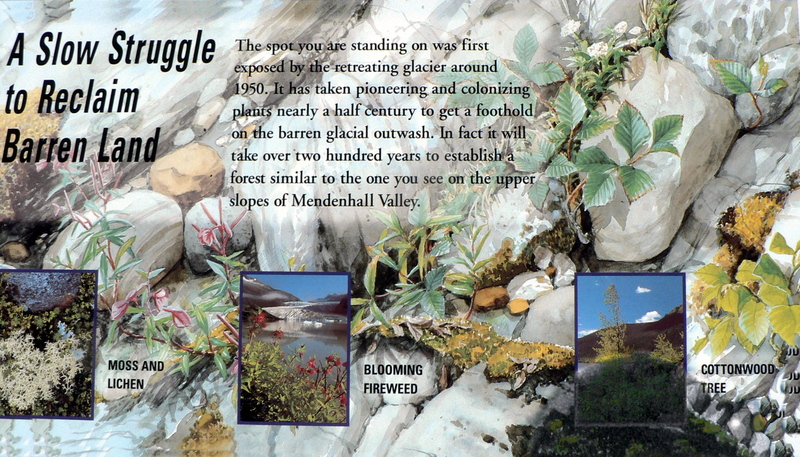 Juneau, AK: Mendenhall Glacier: Arthur Luehrmann Fireweed is tall with red-pink flowers. It's called fireweed because it is the first plant to come back after a forest fire. I woke up and had a very quick breakfast. We walked to do our laundry. In the middle of that, we went to the Federal museum. The power was off, so we only saw a few things. We got our laundry and lunch and fled to a diffent museum, the State musaem. It was fantastic. There was a wolf accrying its babies. In a different section, there were Natives, and it showed how they lived and what they did. After that, we went across the street to a building called the State Office building. We went up and down it. 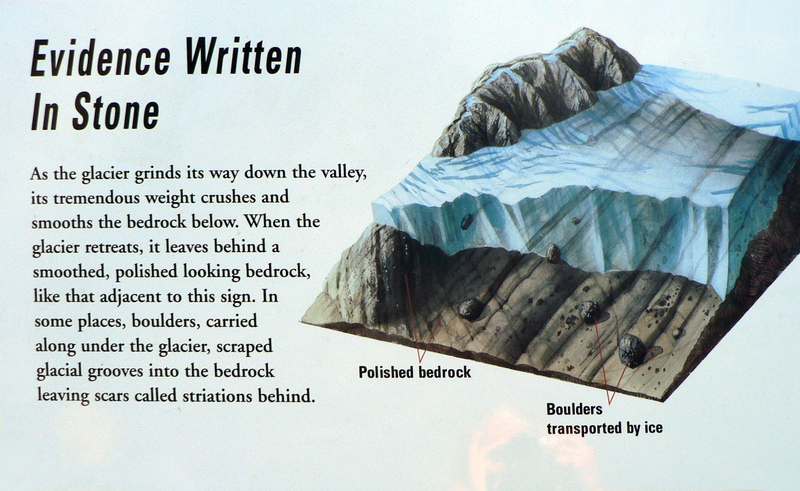 Once we did that, we went to the juneau City musaem. Mount Juneau has lots of mining tunels under it. Then we back to the Hotel, had dinner, watched a movie, and went to bed. Arthur and Natan went out to breakfast while I stayed home. After breakfast, we collected all our dirty clothes (lots!) and took them to a laundromat. While they were washing, we walked over to the Juneau Federal Building and checked out their display of Alaskan art and artifacts. There had been a power failure last night, probably due to high winds that rip through Juneu most of the year, so we had to see the exhibits pretty much in the dark. Back to the laundry to put the clothes in the dryer, and then we went to a grocery store to buy fixin's for lunch. Back to the laundry, but the clothes weren't dry, so Natan and I stayed at the laundromat with the clothes, while Arthur went to a short organ concert at the State Office Building. We met back at the hotel, and ate our lunch goodies. After lunch we went back near the State Office Building to the Alaska State Museum. It had a wonderful eagle tree exhibit and a marvelous collection of native artifacts. The ones that most impressed me were a collection of rain smocks made by sewing walrus or seal gut skins with spruce roots. Also, there were models of boats and fish traps entirely made of carved whale baleen. There was also great carvings of walrus tusks, and a couple of fabulous boats: one solid cedar dugout, one with stretched walrus gut, one of birchbark sewn together with strips of Sitka Spruce roots, and one with walrus skins. After the Alaska State Museum we went over to the State Office Building where Arthur had heard the concert and rode the elevator to the 8 th floor. It had a big patio which gave some great views of Juneau. Then we went across the street to the Juneau City Museum, which was lovely, but we didn't have much time there. Notable was a mining exhibit which included a 3-D light box showing all the criss-crossed mining tunnels in the Perseverance Mine of Juneau. We went to lunch at a pizza parlor, and home to pack, eat a dinner of leftovers, and sleep.